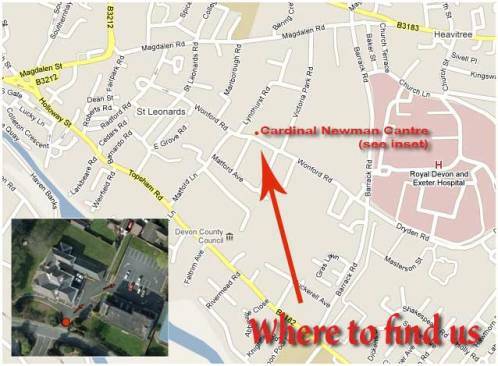 We meet at the Cardinal Newman Centre, Wonford Road, Exeter EX2 4PF. If you put this postcode into Google Maps it will show you the exact location with a carpark to the rear of the building - see map below. The Club meets on Thursday evenings between September and June at 7:15pm until 9:30pm with a break for refreshments (tea/coffee & biscuit 50p). We suggest you arrive at 7:00pm to socialise and have a chat before we start.